Happy Memorial Day Weekend Coming Up! It's finally heating up in Northern California, I am so looking forward to some warmer weather I think?? we will see. Next time I post here I will posting about a new contest, it's going to be a pretty good one. So keep your eyes peeled. Here are my two newest suncatchers, I did have a bit of problems trying to photograph the second one with the crystal ball. 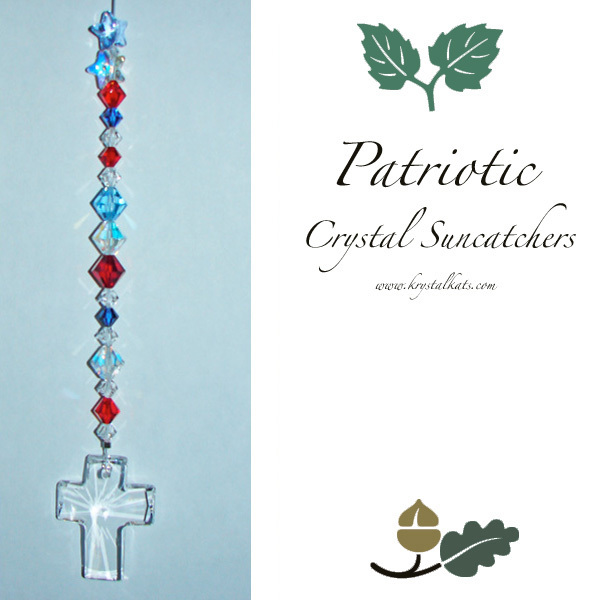 Here is a lovely Swarovski Crystal Cross suncatcher that you can find at my Krystal Kat's Shop online. Here is the direct link to it. I love it because of the cute little stars at the top and the pretty red and clear and blue beads. The cross is special as well if you have a family member serving right now it reminds you to pray for them each day. You can hang is in your car or home. 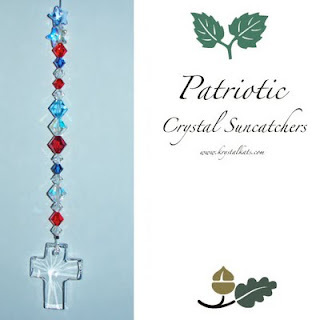 If you don't prefer a cross this one is nice also it's a crystal ball with red, clear and blue Swarovski Crystal Beads, here is the direct link to this one. I have two other Patriotic Suncatchers available as well. Here is the link. Love your suncatcher creations. 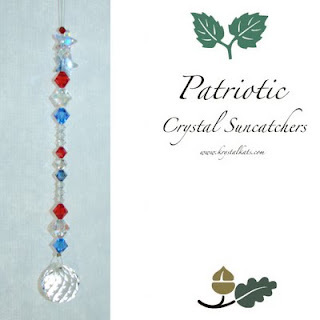 They are beautiful in the patriotic red, blue and crystal beads. Thank you for stopping by and your kind words. I will keep your idea for birds on small plates on my list to do and let you know. Also thank you for the background interest. It is a free background and when you visit me again, the site link is in the upper left hand corner to click and visit there. 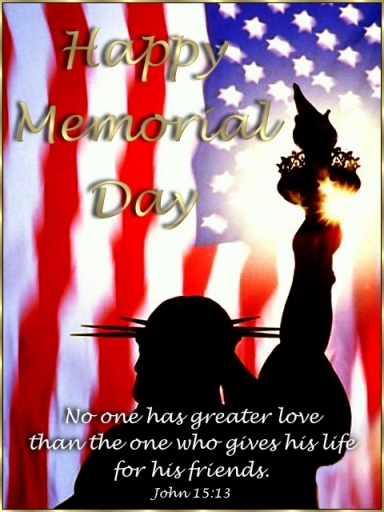 Hope your weather does warm up and you have a nice Memorial weekend coming up.